Don't misunderstand, I don't think there's anything wrong with AT&T's desire to experiment with its logo design, but can we please focus funds on doing something about dropped calls first? 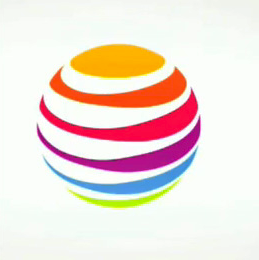 Despite the horrid scribbles and splashes of color we see at the end of the clip, AT&T's not actually dramatically changing its logo. What it is doing is removing the little "at&t" caption which normally sits under the ball o' blue. That logo modification and the clip above are apparently a part of the company's latest ad campaign theme which is dubbed "Rethink Possible."